The NP-TNF series, representing the most advanced tunable notch filter product in the category, is a polarizer-free tunable notch filter made from Kent Optronics proprietary liquid crystal materials. The NP-TNF series is a polarizer-free tunable notch filter made from Kent Optronics' proprietary liquid crystal materials. 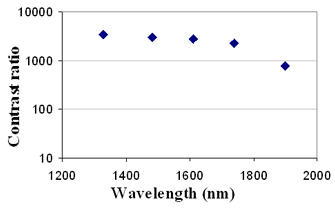 The NP-TNF provides the most agile means for light spectral notch. 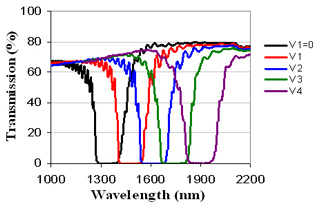 The notch wavelength of a single NP-TNF, with a bandwidth of a few tens to hundreds of nanometers, can be electrically tuned across a broad spectral region from 300 to1000 nm in the visible and infrared for light blocking or routing. 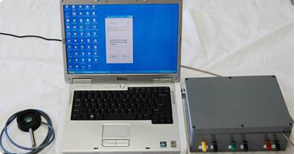 The product series provides customers with an excellent E-O component for serving as a tunable laser beam director, laser blocker, beam splitter, etc… in the envisioned photonics systems, such as laser protection devices, remote sensing, spectral imaging, vision-aid devices, and broadband light routing. The product comes with a compact power supply that can be either battery or 110/220 V wall-plug powered. Customers have the options to choose the filter substrate material, shape, aperture, pixel format and the operation mode (i.e., manual or computer controlled). All products are offered at a competitive price. Contact us for a price quote with your specific application requirements.